Home Dog Training, Bark Busters Leicester, East Midlands. Lee Hardy, Grand Master Dog Behaviour Therapist, Bark Busters Dog Training Leicester. 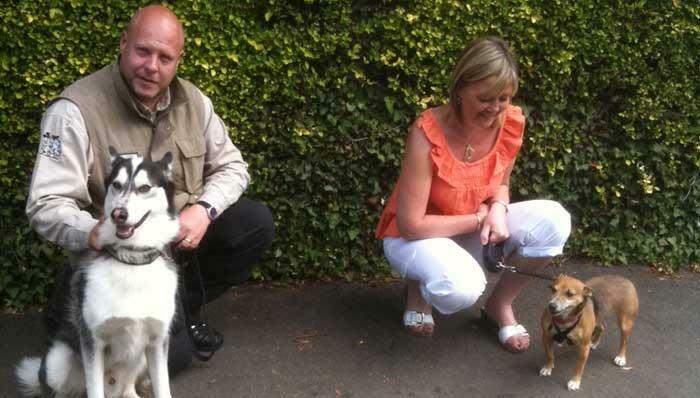 Lee received recognition in 2010 for helping over 2,000 dogs and their owners on one-to-one consultations. Many years ago, before I joined Bark Busters Home Dog Training, I remember a friend once said to me "Get a dog it will change your life". Boy he wasn't wrong there. My dog turned my life upside down, leaving me desperate for help. Now, over 10 years on and thanks to Rannan, a black Labrador, I am enjoying my career with Bark Busters Home Dog Training.